Strawberries and basil were made for each other; they just didn’t know it yet. But you set them up on a blind date, and BAM, love at first bite. 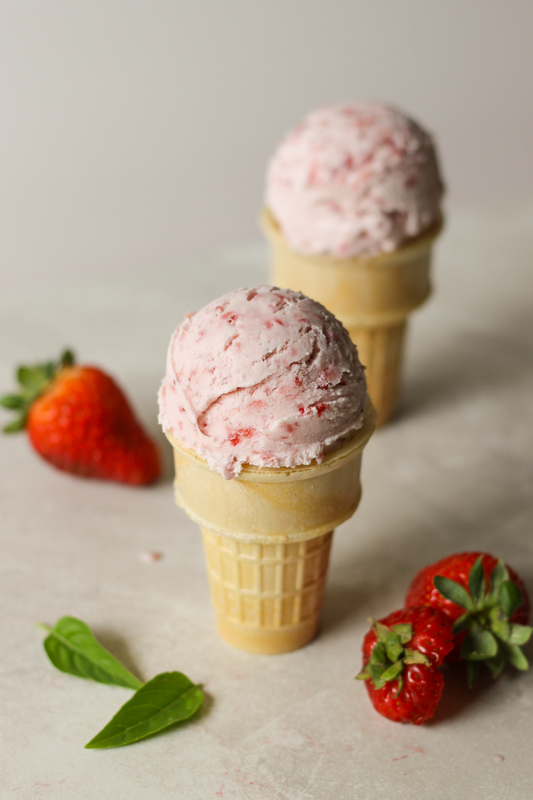 This is strawberry ice cream elevated. On your tongue, you immediately taste strawberries. As the sweet cream softens in your mouth, the fresh, herby flavor of the basil comes through, floral and delicate. It’s summertime heaven in my opinion. 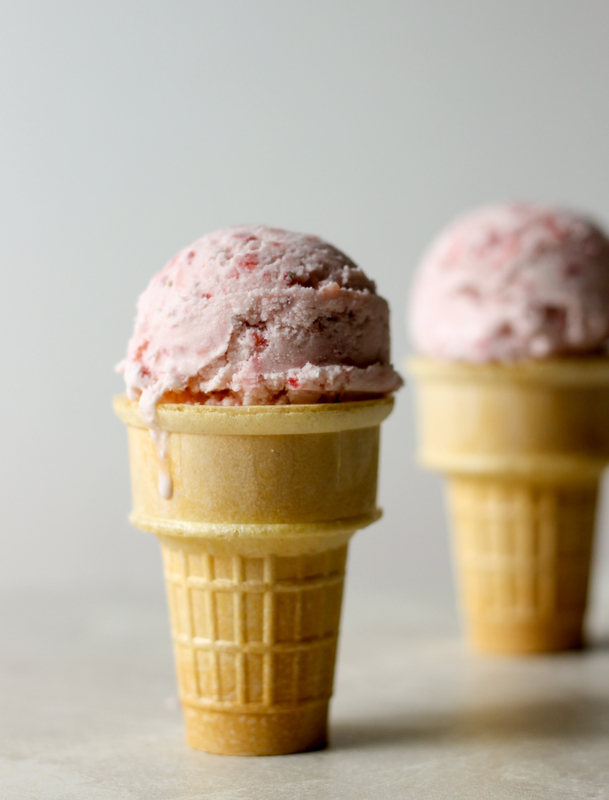 This is a Philadelphia-style ice cream, meaning that there are no eggs in the ice cream. It’s taste pure and simple and homemade. And it’s easy as can be. No custard-making involved. High five! An ice cream maker is required for this recipe. Heat cream, milk, 2/3 cup of the sugar, and basil leaves in a pot over medium heat until it just comes to a very light simmer. Remove from heat and let the cream mixture come to room temperature. Pureé strawberries in a food processor with 1 tbsp sugar. I like to do a fine purée so I don’t have hard frozen chunks of strawberries in my ice cream. Strain the basil cream mixture through a fine mesh sieve. Add strawberries and mix to combine. Place in refrigerator for at least 2 hours or overnight. Once cream mixture is thoroughly chilled, place in ice cream maker and follow manufacturer’s instructions. Ice cream will be soft once churned. Place in freezer until ready to serve.